If there’s one thing that each season changes, it’s purses to match the weather! 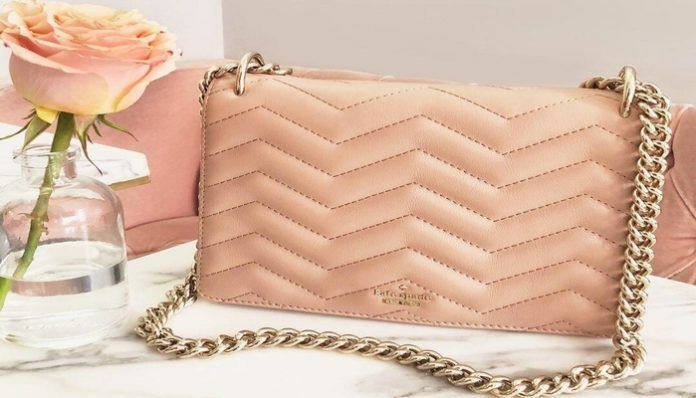 Now that spring is finally underway, big-name purse companies, such as Kate Spade, Michael Kors, and Coach are releasing their summer collections. And let me tell you, 2019’s purse trends have changed almost completely from last year’s totes and clutches! Here are 8 purse trends you’re bound to see this summer and you definitely should invest in. While this particular Kate Spade purse is plastic rather than mesh, this design style is extremely common. The loose basket look catches everyone’s eyes, plus it’s perfect for trips to the beach. Whether it’s on a purse or a backpack, beading is a huge trend making its way through the store racks this season! I have to say, there are some creative beaded designs, including pleating and decorative patterns. Round bags made their way back on the it-list this year! These funky bags were popular back in the 70s and 80s, and now, they are coming back for round two! Whether it’s a patterned bag or a solid colour, bright is in sight! One of the hottest purse trends this summer is vibrantly-coloured bags. So, be sure to have fun with this unique trend because after the season’s over, it’ll probably take a while to return again. The picnic basket vibe (as I like to call it) is alive and thriving this spring and summer season! While this trend gives me total Wizard of Oz feels, it’s actually becoming quite popular, especially for minimalists and simplists. Plus, embroidery on stitched bags is a bonus trend in and of itself. Tiny, compact bags are totally in this summer season, proving to be every simple girl’s dream. So start packing lightly because you will no longer have room to store anything and everything. Not only are fanny packs back from the 90s, but there are also two ways to wear them now, prompting plenty of creativity from designers and consumers alike. The see-through trend is back and better than ever! Larger brands are jumping on the last summer’s hottest bag trend, and we couldn’t be more excited. So what if clear bags are a little childish and invasive at times? At least they’re totally in style! Whether you want to invest in of some name-brand purses or simply accomplish the same style a more affordable store, you’ll see these trends everywhere,from the beach to the nightclub to the office. So, do yourself a favor and start looking now before the fall collections start to drop . Which summer purse style will you rock this year? Let us know in the comments!